As you may have read at Valleywag and Cnet, Reddit and Conde Nast threw a very loud and very successful party on Saturday. Most notable: Thanks to an open bar and to the infusion of Conde Nast/CondeNet staff, Reddit seemed to temporarily solve Silicon Allley’s gender dilemma, achieving something remotely close to a balance between the sexes. All for a $5,000 budget, we hear. Reddit, the YCombinator-funded social news startup bought by Conde Nast a year ago, is sponsoring a multi-city bar crawl called Drankkit: it has already hit Boston and San Francisco and is now on its way to Toronto, Detroit, Chicago, and L.A.
On Saturday, the Hanger bar in East Village remained packed throughout the night with an assortment of obsessive Redditors, Alley Insiders and Conde Nastians — as well as people who’d never heard of Reddit, but had definitely heard about the open bar. Reddit cofounder Alexis Ohanian gave out the much-coveted drankkit pins, while his counterpart Steve Huffman entertained guests by the pool table. 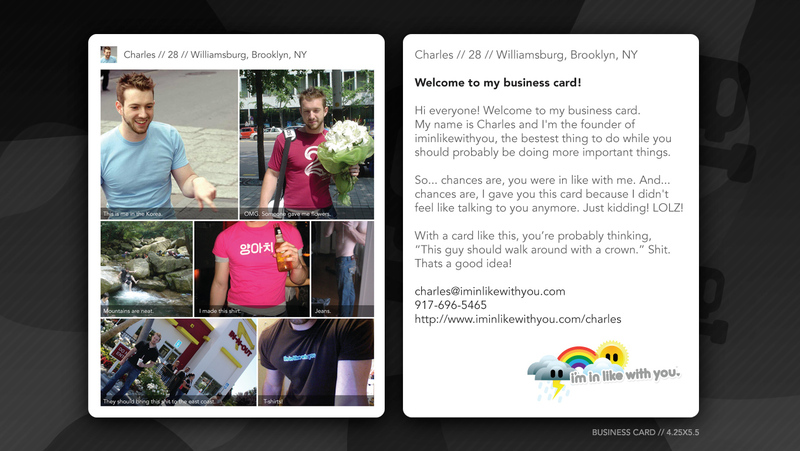 iminlikewithyou’s Charles Forman, who keeps telling us that New York doesn’t have a tech scene but keeps showing up at NY tech events, was there, showing off his business cards. And, yes, Time-Out columnist and internet celebrity Julia Allison briefly showed up.